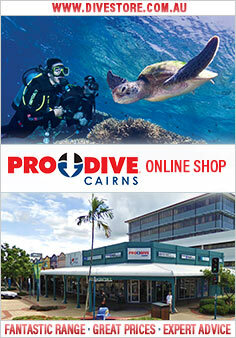 If you are wanting to do something other than a 3 day liveabord, Pro Dive Cairns can recommend and/or arrange for you a number of other dive trip options from 4 days to 7 days. As we are specialists in what we do, our knowledge of these other trips are second to none and we can confidently recommend a trip that will suit your requirements, experience and budget. Join Spirit of Freedom 7 days and nights diving the two diverse eco systems of the Great Barrier Reef and the Coral Sea. Your cruise will include the Ribbon Reefs, the 'Cod Hole' a chance to explore Lizard Island, Osprey and possibly Bougainville Reef, Coral Sea. This 7 night Coral Sea Safari includes some of the best dive sites on Australia’s Great Barrier Reef and Coral Sea featuring a spectacular dive at Challenger Bay, diver sized fish at the Cod Hole, plummeting Coral Sea wall dives in gin clear water, exciting shark action at North Horn, exploration of Lizard Island and more.